Made of a hardened Nylon fabric, this Milspex Combat Leg Holster is suitable for holding a small-framed semi-auto. The holster has two mag-pockets to store a couple of your spare mags, wiht velcro fastening to keep it in place. 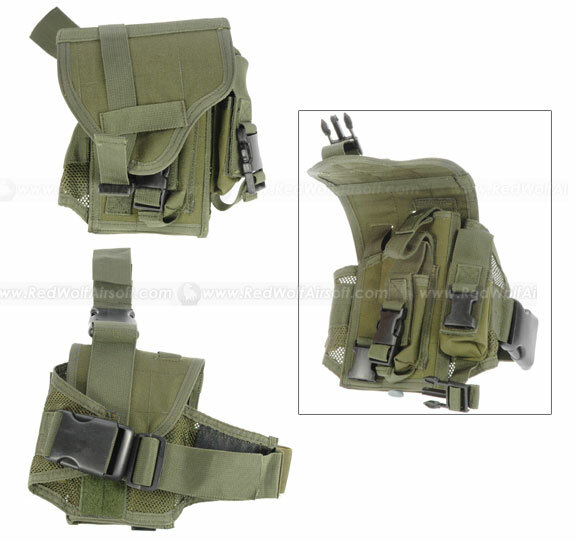 The holster has an adjustable leg-strap, and an adjustable hood, which can also be completely removed.